My First Experience Flying In A Jet! JetSuiteX That Is! Sooo if y’all follow me on Instagram then you saw the jet picture I posted on Tuesday! And if you didn’t see it, check it out, because its pretty EPIC if I do say so myself!.. We’re talking rapper/model/full on celeb, walkin’ out of my private jet status! haha! 😉 Not really, but a girl can wish right?!.. 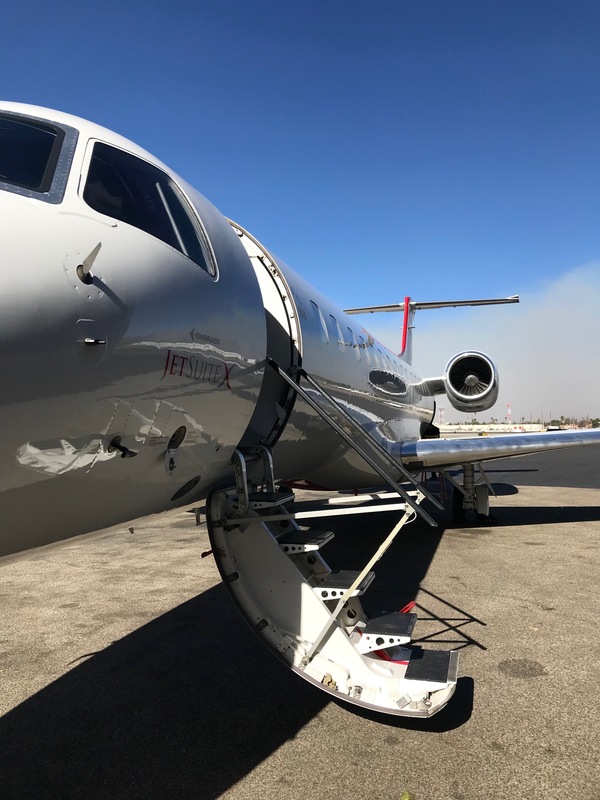 JetSuiteX definitely made it a flight to remember! 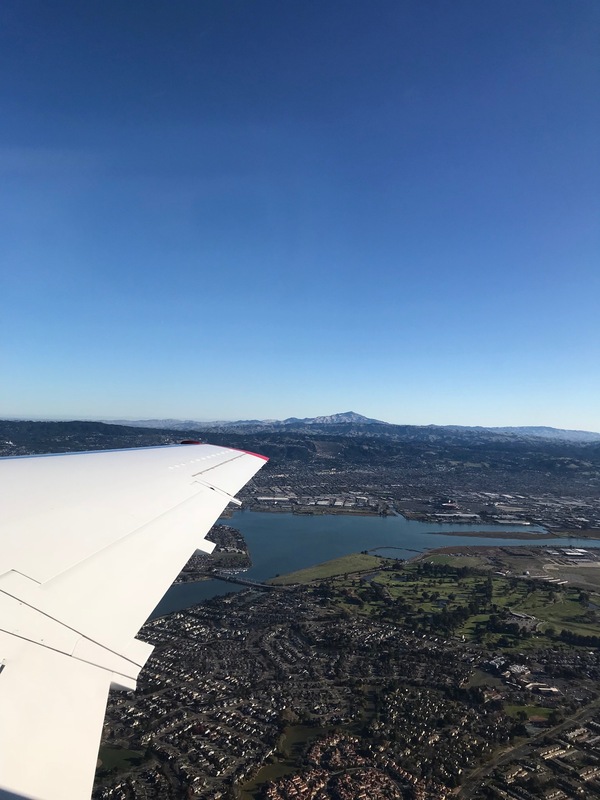 They hosted media for a private flight and brunch on Tuesday, to experience their newest route from Oakland to Burbank and I was lucky enough to be one of the bloggers in attendance! 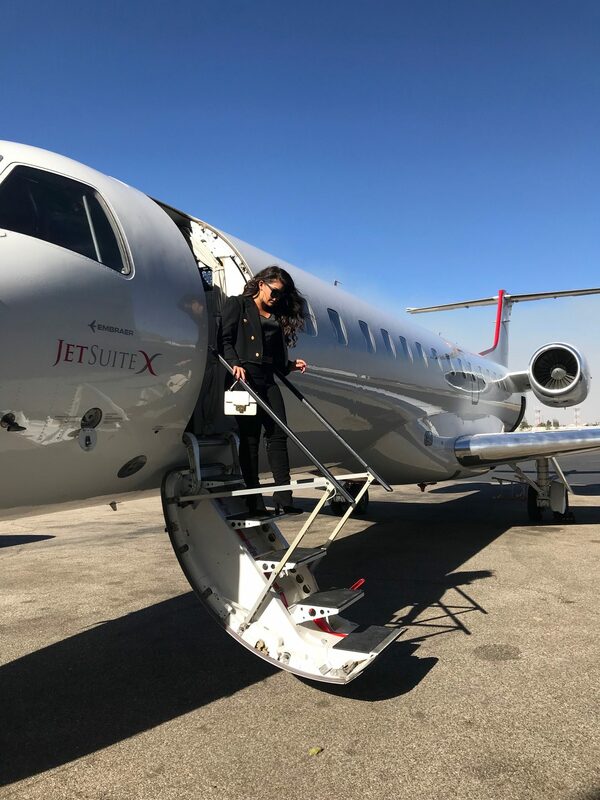 I can’t explain to you guys how convenient JetSuiteX is compared to regular airlines! I’ve flown soooo many times and it’s always such a hassle with checking bags, waiting in lines, going through security (and yes, I do have Pre-Check) and the list goes on! But best believe when flying private, they make it a breeze! I arrived at the private Oakland terminal 20 minutes before departure and walked right up to the check in desk! No lines, nada! It was AWESOME! haha! 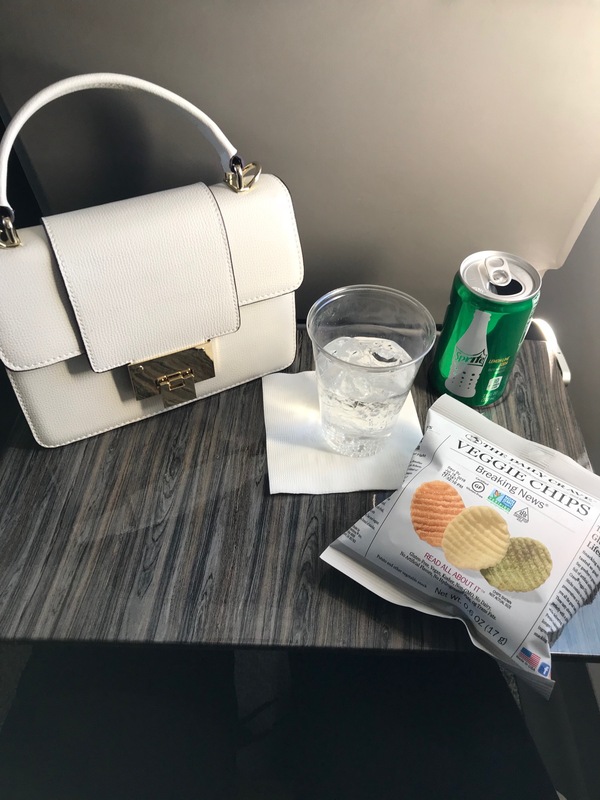 Once I checked in (took less than five minutes), they gave me my boarding pass and guided me to the snacks and refreshments. All of which were FREE! 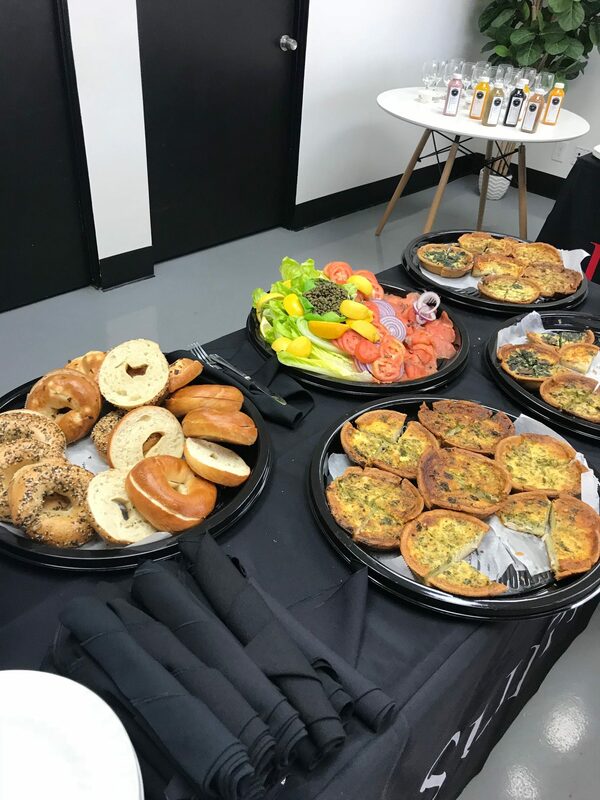 And they were good snacks! 😉 I don’t know about you, but that stuff matters to me! haha! I then met some other local San Francisco bloggers and we soon made our way outside to take some pictures and board the jet. We didn’t get much time to take pictures in Oakland though because we needed to get in the air, so the photos you’ll see below are in Burbank. As for the flight, they warned us that the turbulence was going to be a little stronger due to the heavy winds and fires in Ventura County. Please pray for Ventura and donate if you can! You’ll see a photo below of the fires from above and it’s truly heartbreaking and is a little to close to home for me since my hometown (Santa Rosa) just went though the same thing not too long ago. 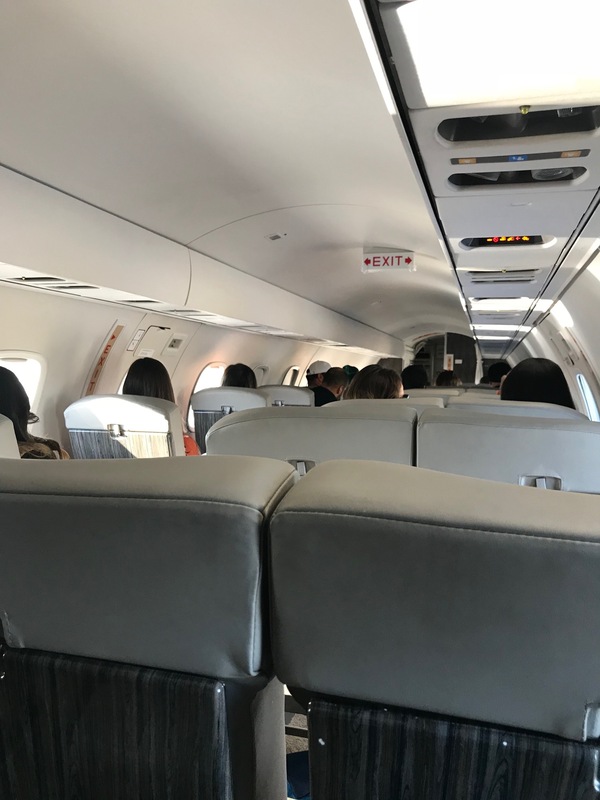 So the pilot said with the winds and fires, combined with a smaller plane, it could make the ride a bit bumpy, but then he also assured us that he was the most experienced pilot they had and that we would get there safely. I’d be lying if I said the panic didn’t immediately set in though. haha! I’m such a scaredy cat when it comes to flying, even though I should be a professional by now! I immediately sent my I love you’s and then we were off! I think I braced myself for the worst though, because the ride turned out surprisingly smooth! 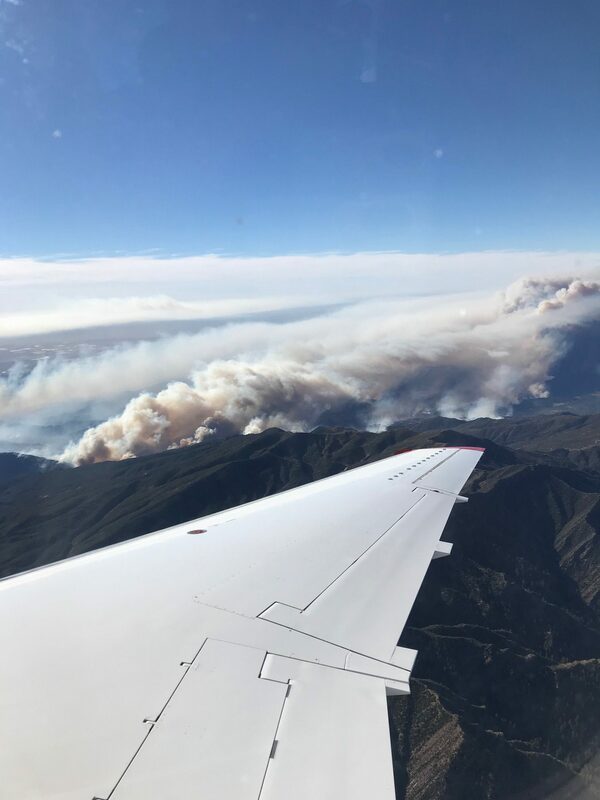 The turbulence didn’t kick in until right above the fires and while there were a few sharp drops, it was better than I expected given the circumstances. During the flight they also had free wifi (yesssss!) so I was able to text my friends and family and send a few emails during the short flight to Burbank. 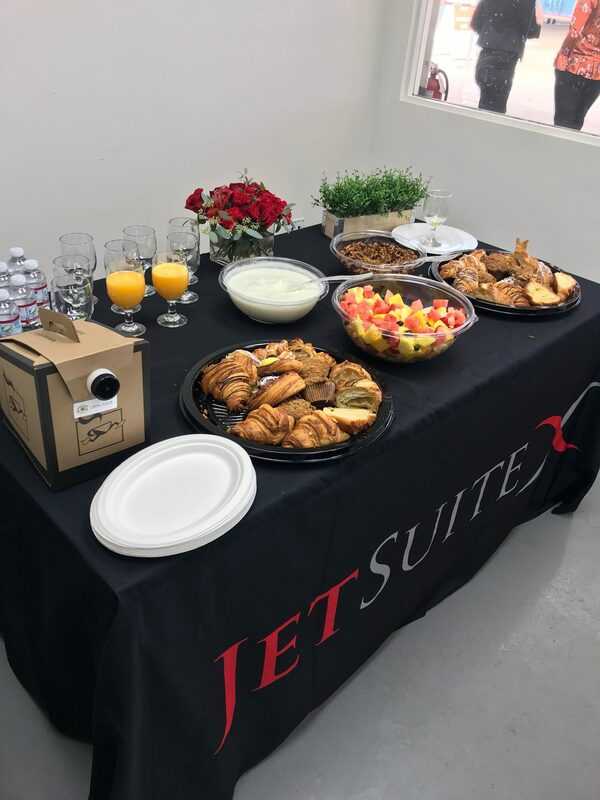 We arrived in what felt like 25 minutes and walked onto the private hanger to be greeted by the CEO of JetSuite Inc., Alex Wilcox, along with champagne and food! 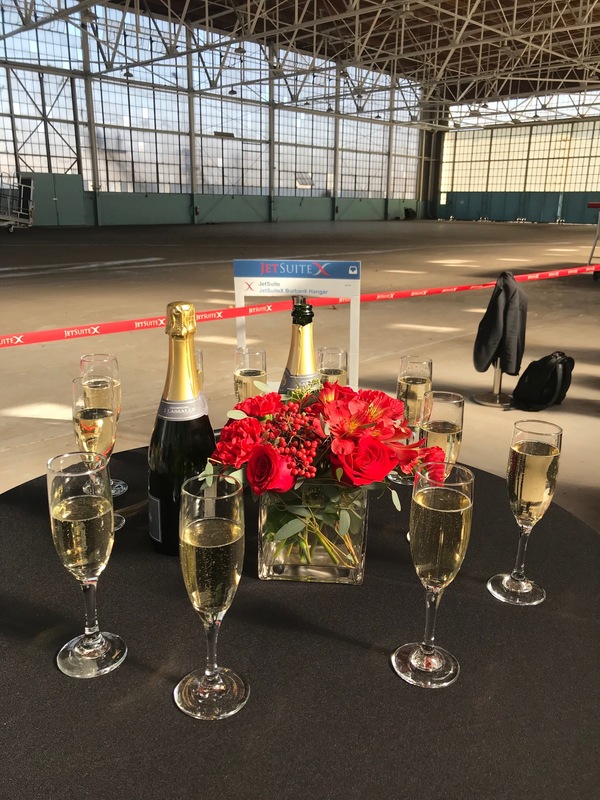 JetSuiteX also arranged for yoga classes and massages while we hung out on the hanger! It was a fun, quick celebration and definitely something I won’t forget! I can check flying a private jet off my bucket list 😉 What’s on your bucket list? This is a view from the last row in the jet! There are only 10 rows, with 30 biz-class style seats.. You know what that means? You don’t have to wait 80 years to board and deboard! It’s a cozy, intimate feel! 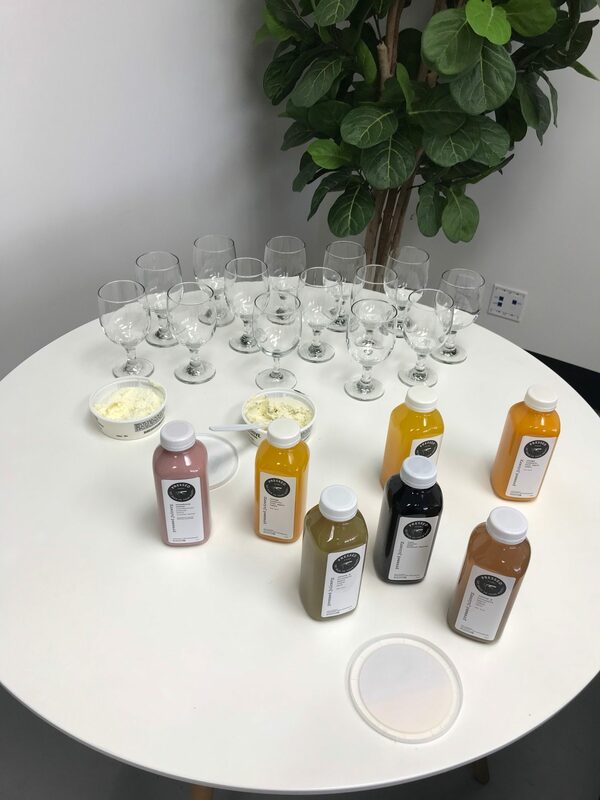 All these drinks are complimentary and they have different snacks available too! Of course I opted for a sprite! And I thought I’d be a little adventurous and try their veggie chips. First thought “Ew.. why did I get these?”… But boy after I tried them I was loving them! They were actually REALLY good! I was surprised I liked them! Also, here are some videos from that day! Previous Post Thoughtful Gift Ideas + 3 Day Spa Pass GIVEAWAY! Such a great experience!! I would love to try this sometime! You definitely should ! It was SO much fun!! Oh my goodness GIRL!!! This is high class living I’m loving it! The photos of you on the stairs are gorgeous!! Aw thank you so much Alice! It was such a fun experience! Wow what an experience! It’s so cool that you got to fly a private jet and get such amazing service too! Right?! I had a blast!! What a high class experience! 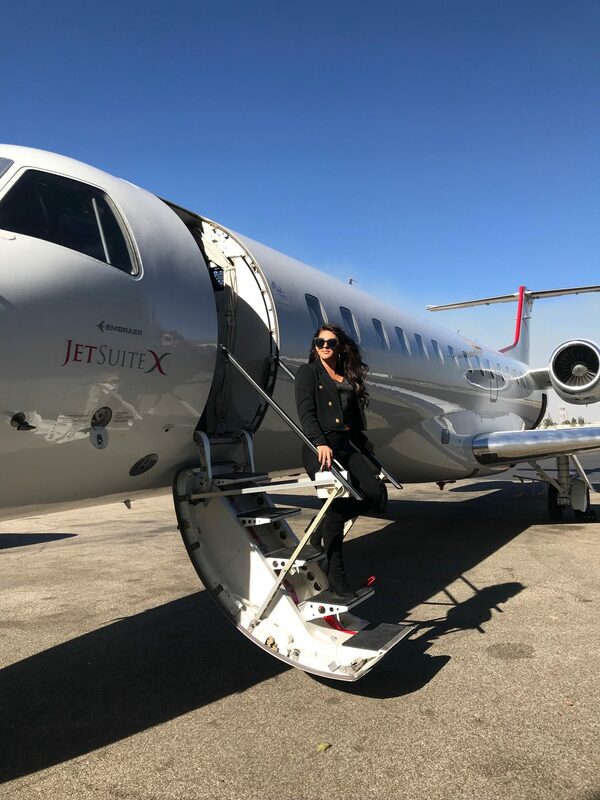 Thanks for sharing and can’t wait to have my first JetsuitX experience! So fun! You really got the royal treatment here! Wow…Flying in a jet seems SO much better than flying commercial! You have seriously the absolute best experiences! Loved seeing the pictures and videos! Thank you so much for sharing! Sounds like a blast my darling. And honestly is there a better way to fly? Hello dear. 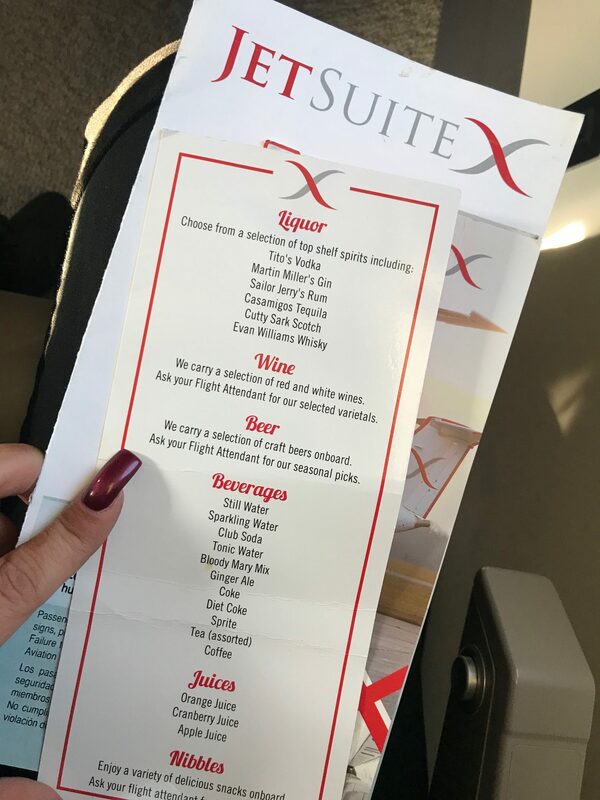 I would love to fly jet suite! Some of my friends have flown with them before and I have heard nothing but fabulous things! Love all your bts pics. Great post! I’m so jealous!! This looks so fun. I would feel so cool in a plane like that hahaha. Glad you had a good time!